Update (5/26 8:00am): The 16GB model has sold out, the 128GB is still available in select colors. 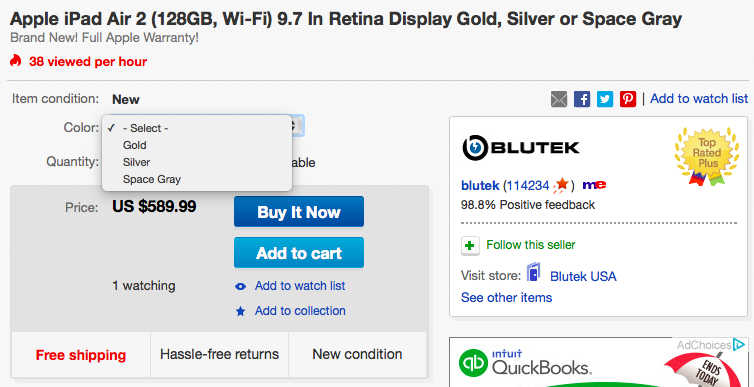 Blutek (98.8% positive feedback from 114,000+) via eBay Daily Deals offers a few nice deals on the Wi-Fi Apple iPad Air 2. First up is the 16GB model for $399.99 shipped, which is $99 off the regular price and the best current offer. Blutek also has the 128GB model for $589.99 shipped, that’s good for $109 off the list price and less than Apple charges for the 64GB model. 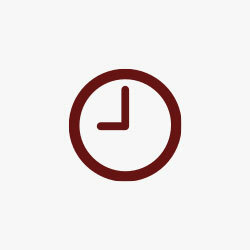 Taxes are only collected at the time of purchase in New York state. Features include a 9.7-inch Retina display with a 2048×1536 resolution, an 8MP iSight camera plus 1080p HD video recording and roughly 10 hours of battery life, as well as Touch ID.